Double Standards- are our expectations of babies and kids too high? Adults can have rough nights where they toss and turn and struggle to get to sleep. The adult is not having fun. It leaves the adult feeling frustrated, tired and sorry for themselves. When a baby has some rough nights, adults feel frustrated with them, not for them. The adult may feel that the wakings are on purpose and are unnecessary or annoying. The adult complains about their own feelings of tiredness the next day and blames the baby. Adults seek comfort, company and support through meaningful, intimate relationships with other people. Many adults do fall asleep or would prefer to fall asleep in the arms or near proximity of a loved one. I know myself, I sleep much more soundly when my husband is home in bed than when he is away. In new surroundings, we often look for familiar people and keep them close by as we navigate and find our place in this new setting. If something big happens in our lives, be it happy, sad, momentous, life changing or even the little things that bring our emotions to the fore, we will often look to share these moments with someone we hold dear. They are our buffer, they are our safe place. When a baby or child, only sleeps in the arms of their parent or in their bed, they are seen as too dependent. When they don’t want to be put down and hold on tight in new surroundings, they are called ‘clingy’. When they come crying, asking for cuddles, brimming with stories, insisting on being heard, they can be called, ‘needy’ or ‘attention seeking’. Adults can be in a bad mood. They can have days where they are off- angry, sad, lacking energy. Adults can lose their temper and yell, curse and stomp off. Adults can have days where they are on the verge of tears and sometimes those tears fall. This is considered normal. We all have good days and bad days. But when our baby or toddler is in a funk, when they are cranky or tired or teary or simply not up for company, adults often get annoyed with them as though these normal human feelings are an inconvenience to them. Adults often don’t acknowledge that it’s okay and normal for our children to feel angry and to want to yell and stamp or even lash out. 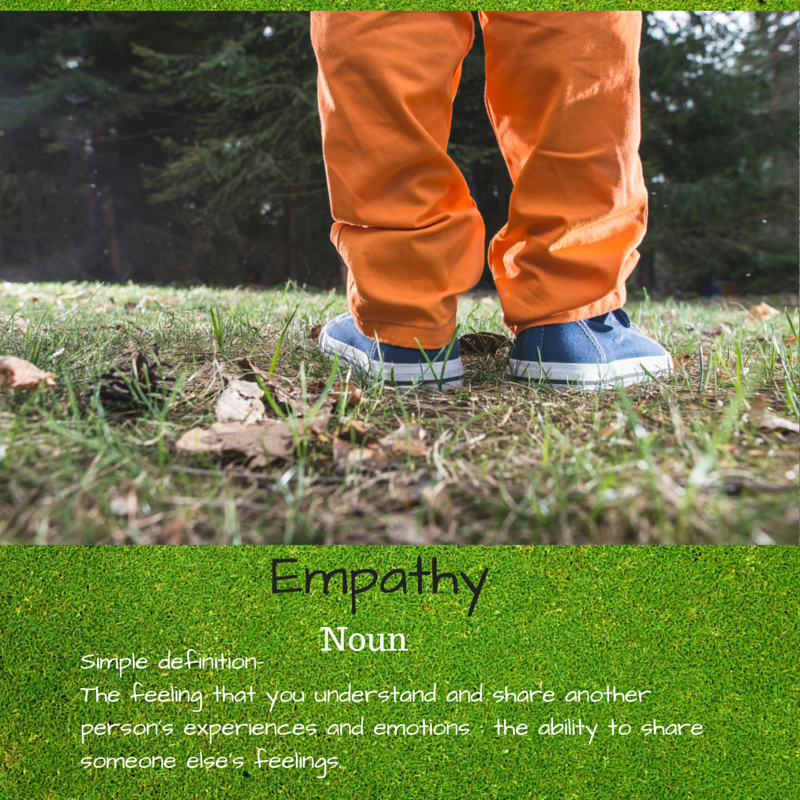 We try to quash these emotions instead of helping and guiding our children to face them. Adults can choose what they will and won’t share with others. They can have things like phones and cars that are solely for their use. Adults would feel quite uncomfortable and very probably upset if a visitor or maybe even another family member waltzed on in and picked their phone up and started using it or grabbed their keys and took their car for a spin. These are the adult equivalent of our children’s precious toys that adults so keenly encourage their child to offer up, hand over or stand back and say and do nothing whenever other children are around to play. We call it sharing. As an adult, we all have our different threshold of patience when it comes to waiting. Some of us can find our zen and wait it out without too much ado. Others, find their limit reached very quickly. I had a recent reminder of how hard it is to wait when you are completely relying on others to help you do everyday tasks. I did my back and for a couple of days, I was stuck wherever I was until someone could come and give me a hand up. Wow! It was a real eye opener. I frequently ask my toddler and baby to wait for various things while I tend to the other. I ask it like this patience and waiting should be freely given … Having had my own reminder of how hard it is to wait, I intend to ask it but know that their limit may be reached well before the wait is over. Qualities adults admire in other adults include- empathy, decision making, tenacity, resilience, honesty, higher level thought and the ability to speak up for oneself and for what is right to name but a few. But many adults prefer children who are quiet, compliant, control their emotions to prevent the adult feeling embarrassed by big feelings (tantrums) happening in public, follow instructions without question and absolutely do not answer back and do as the adult says not what they do (eg. Smacking a child while ‘teaching’ them not to hit). It makes it difficult to see when the desired qualities of an adult are actually to be acquired. Adults feeling sleep deprived, anxious or depressed need to do what they need to do to get their own mental health in check. A baby or child’s mental health is important unless it needs to be ‘temporarily’ ignored to get the adult’s own mental health back. Adults can show a preference for certain foods. They can say when they are hungry and when they are full. This is considered normal. If a baby / child does not eat what they’ve been given, they’re seen as picky or ungrateful. They have to eat meals at times designated by someone else and volume and pace are also set by someone else. What their own body tells them is sometimes overridden because they still have food on their plate. Sooooo many double standards that are commonplace in society. What’s lacking to have caused such a mismatch? I suspect the major missing piece is – Empathy. The ability to put ourselves in our baby’s or children’s shoes and look at things from their side. Some of these double standards are deeply entrenched, deeply held beliefs that have crossed generations. Many are not questioned or even considered when making day to day decisions and interactions with children. So what can be done about it? I like to imagine the future world of our children who ARE being parented with compassion, empathy and respect. I hope they can pass on some different wisdom to their children and their children’s children. The change starts with us, these double standards need to end. Our perfectly imperfect little people should not have to be more than we expect of our fully developed adult self. It’s a work in progress though. The first step is really to stop and think. So the next time you catch yourself feeling frustrated with your little one or you making a demand of them, take a deep breath and put yourself in their shoes. Get down to their level and show some empathy. Be the adult in the situation and model for your child the desired outcome while recognising we all have our limits including our children.